We’ve taken a lot of time on this blog to write about Christmas. And it is a wonderful holiday, complete with family, togetherness, presents, and lots of spectacular light displays. But today we’re going to take a look at Hanukkah. Head on over to the Brooklyn Grand Army Plaza — which contains a 32’ tall, 4,000 lb. menorah, the largest in the world and the maximum allowable by Jewish law — any day from December 6th through December 13th to check out the Hanukkah menorah lighting! Hanukkah is a holiday about good food, getting together with family, and gambling (you didn’t know that was what dreidels were originally for? And still sort of are? Well, now you do). People typically eat potato pancakes fried in oil — oil is very important for this holiday — and gold-wrapped chocolate coins that taste kind of like chalk. They’re called “Hanukkah gelt,” because they replace a tradition of giving out money. I think the people getting the money had it better. And, of course, these days, there are presents! OK, right, story of Hanukkah. I’m going to oversimplify this drastically, but it begins with the Romans pressuring the Syrians to pay them heavy taxes, and the Syrians — who had annexed Israel — trying to get money out of the Jewish people for this purpose. A particularly harsh and erratic King tried to Hellenize the Jews and root out their religious traditions, sending many of them into hiding. Soon, a resistance movement arose, organizing and striking Syrian expeditions, sending them back home. 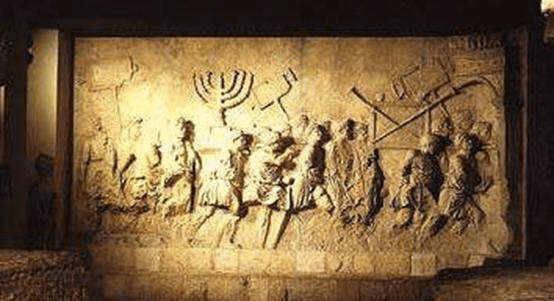 When the original founder of this group died, he passed leadership on to a man named Judah, who was called “the Maccabee.” After Judah had defeated another expedition, the Syrian King decided to send in a whole army, complete with war elephants, to pacify the Jews. Judah and the Maccabees were strong, however, and defeated this army, before going on to liberate the Temple in Jerusalem. When they did so, however, they found that only a single jar of pure olive oil suitable for the holy task remained. However, that oil lasted for eight days and eight nights, until more was available — hence the eight nights of Hanukkah. Now you may be wondering, what does all of this have to do with going to see a menorah lighting? I could’ve appreciated the lights just as well without knowing any of that! To which I reply that, no, you couldn’t. 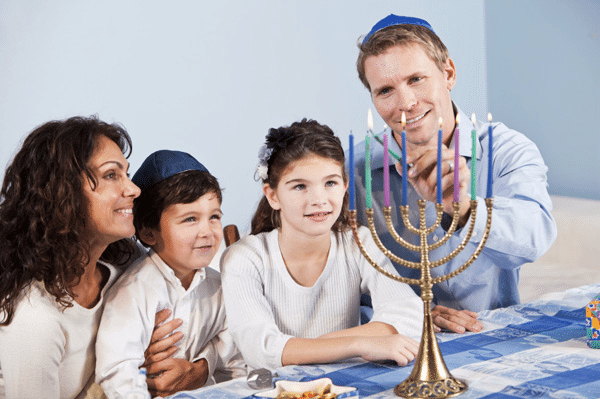 Hanukkah is all about tradition and the retelling of stories, and you can’t retell a story you don’t know! And in the lights on that menorah is a story reaching back thousands of years. So head out sometime this week and see history in action with the menorah lighting. And take Seastreak! We’ll keep both body and heart warm as you make your way towards the lights. With one for each night, these candles shed a sweet light that will remind you of days long ago.